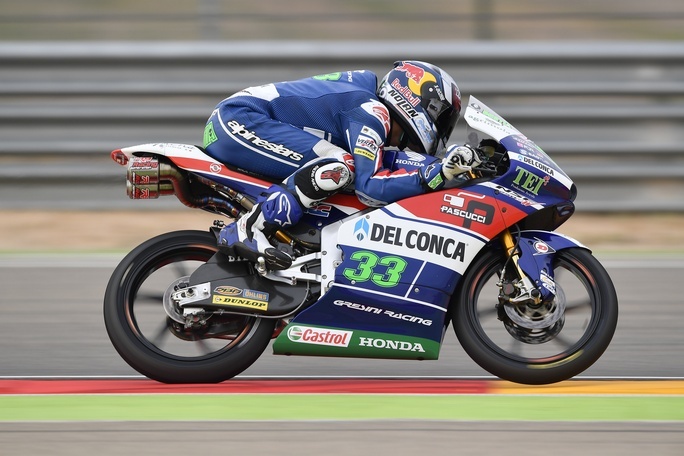 Motogear | MotoGP Aragon: Podium-praise for Bastianini! The desert of Aragon reveals to be a little too dry for Nolan Group pilots, whose commitment is not often rewarded by luck. Nolan’s protagonist of the championship (in our eyes) has been Enea Bastianani, who shone once again, by gaining another 3rd place podium in an epic race between Brad Binder! Bastianini has fought hard and exhibited fierce determination throughout the championship so far- well done Enea! Also, another combative contender; Syahrin, finished in a respectable 14th place during Moto 2. Unfortunately, Petrucci didn’t experience the same good fortune as he usually receives, he finished in an unusual 17th place in MotoGP. X-lite’s sponsored rider Stefan Bradl, experienced a strong race as he achieved a top-ten result with his Aprilia- an outcome that rewards his team’s hard efforts and strong expectations. That’s how Nolan ensure they receive the best results : through determination and persistence. Next Race: Japan this October, for the first of three races in three weeks!